BMS School Day: 7:45 a.m. until 2:44 p.m.
Below is the 2019 state-mandated AIR Testing dates for 2019. Part of successful test taking is being present at school in the true testing environment. It is my hope that by providing these dates ahead of time in March, it will help avoid appointments and vacations during the testing windows. Testing begins promptly at the start of the school day. We appreciate your child going to bed early, eating a healthy breakfast, arriving to school on time, and giving it their best effort! The Brookside Talent Show will be held on Sat., May 4th @ 6PM. To view Camp Power 2019 flier click on Camp Flier to the right under Documents. Arrival: Buses will drop students off at the front of the building. Parents who drive their student to school are to be dropped off at the back event entrance which is located at the Southeast area of the High School. You will turn into the drive between the High school and Intermediate school, turn right in front of the staff parking lot to drop off at the doors and continue around the staff lot to exit. No Exiting behind the Intermediate School. Dismissal: Buses will pick up students in the front of the building. Parents will pick up students from the back event entrance following the same procedure as arrivals. Again Please DO NOT exit behind the Intermediate building. If you need to come inside for any reason please park in the visitor parking spots in the front of the building. Student Council Meetings are held every Wednesday during the school months except on Holidays. Parent & Community Members: Please click on the link below to access a Vaping toolkit provided by the Partnership for Drug-Free Kids. The toolkit provides factual information, ways to approach kids about vaping or juuling (e-cigarette use), and recommendations on what parents can do to safeguard their kids. Concerned with your child using?, please talk with your child’s school counselor or school social worker. The district is currently hiring substitute cleaners, kitchen staff, bus drivers, clerical, & monitors. If interested, please email Steve Parker at sparker@sheffieldschools.org. You can complete an application online through the Community link on the district web page. Please notify the Attendance Office when your child is out sick. You must follow up with a note when your child returns to school. Please be sure to update your child's emergency information as needed. We have made a change to the district calendar previously posted on this website. Please click HERE for the updated 2018/19 Calendar that includes updated Open House information. There are numerous items in the lost-n-found box in the office. We have winter coats, sweatshirts, hats, gloves, notebooks, eye glasses etc.. Please have your child check for any item(s) they may be missing. Breakfast Cost will be $1.75. Lunch Cost will be $3.00. Please remember that students are only allowed to borrow money for two lunches. You can put money on your student's lunch account by setting up an individual account through our PayForIt.net program. Please visit the school website for the link to PayForIt. Using PayForIt will allow you to make payments to student fees, monitor your child's cafeteria spending and easily add money to their account via a credit or debit card. Please call 440-949-4228 if you have any questions setting up your account. Brookside Middle School has partnered with Giant Eagle for their Apples For The Students Program. By registering your Giant Eagle Advantage Card, your purchases will automatically earn funds used to obtain our overall educational needs. We would love for you to help us out with this opportunity. There is no extra cost involved for you. Giant Eagle contributes a percentage back to our students based on your purchases you are already making. Check your student's progress frequently using the POWERSCHOOL button located in the upper left of the website. Parents can create an account to access your student's grades, attendance and other features. You may also pay for your child's school fees and add money to your child's cafeteria account using the PAYFORIT.NET button located in the upper right corner. 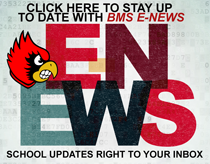 Student ID's and passwords are sent home at the beginning of the school year. Any questions please call the main office at (440) 949-4228. Please remember to keep your phone numbers, addresses, emergency contact information and medical forms updated with the school. Please call the office at (440) 949-4228 or (440) 949-4227 if you need a new form sent home. Click the red link above for lists. Thank you for your support!